” HOW CAN WE HELP YOU ? Maid Cleaner, cleaning services in the Margaret River region. Your time is too precious to worry about cleaning. Do what you want to do with your time like spending time with friends and family enjoying our beautiful region. Book a regular cleaning service and save money as well as getting your life back! Ensure that you or your guests arrive to a clean and comfortable home every stay. We are your professional AirBNB cleaning company / holiday home cleaners, here to take all the hassle away from you. We can take care of your linen and supplies too! We've cleaned it all - offices, workshops, surgeries, showrooms, cellar doors, shopping centres and much more... A clean work place is a productive work place, a gleaming showroom means more sales - let's help your bottom line! The fastest way to make your home or work place look better and for you to feel better is to have your windows cleaned. We're blessed to live in a beautiful part of the world - let us help you see it by cleaning your windows to the highest standard. Carpets and floors get very messy down here. In the summer we walk every where with bare feet and in the winter we bring in the mud every storm. Add pets, kids and husbands and a 'proper' carpet or floor clean becomes a must! We can help! Moving is stressful, whether you've a rental agent inspecting your cleaning before returning your bond or you want to do the right thing by the people purchasing your home. We can offer a full cleaning service to leave your house sparkling. Your cleaning needs are covered. We offer commercial cleaning , residential cleaning and holiday home cleaning , we also offer carpet cleaning and window cleaning. Please get in touch with your cleaning requirements and let us help you. For a cleaning service with a friendly, approachable 'can do' attitude, that will go the extra mile to help you and for the most reliable and consistently high standard of cleaning in the Margaret River region and beyond - Maid Cleaner is your #1 choice! Maid Cleaner service all sorts of great companies and organisations, lots of holiday homes and private homes as well as special events. ” …reliable, efficient and effective…always seeking to improve and is a pleasure to work with. ” Professional, reliable and flexible. We would highly recommend their services. ” …incredibly flexible, reliable and helpful. Our retreat is cleaned to perfection every time and presented exactly how we want. We clean, you relax...Maid Cleaner exists to help solve your cleaning problems. In the Margaret River, Dunsborough, Yallingup and Busselton, we clean offices, shops, showrooms, cellar doors, holiday homes, private homes and much more. As a full service cleaning company if you need something clean, we are here to help you. For your safety, we rigorously vet all of our cleaners, who undergo police identity checks as well as an in-person interview and full training. You are also fully covered as Maid Cleaner has a $20m commercial public liability insurance policy in place. We use the industry's best eco-friendly cleaning products and practices to ensure a safe environment for your customers, guests, employees, children, pets and of course yourself! Service with a smile and a positive ‘can do’ attitude. Flexible, approachable – we’ll go the ‘extra mile’. 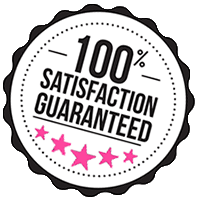 Great job done everytime – guaranteed. Safe cleaning products and machines. Call us on 0410 993 955 or enter your name and number and we will call you back when next in the office. Thank you - we will call you as soon as we can.